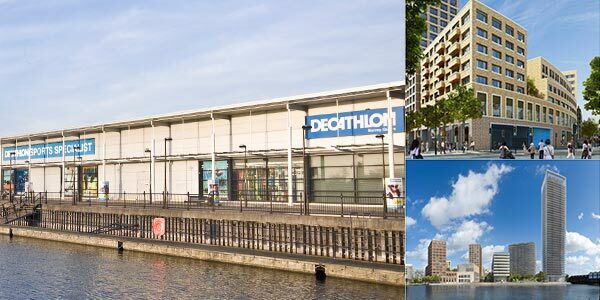 Holders of Decathlon cards registered to the Surrey Quays branch have received this email from the manager as preparatory works for the redevelopment of the site get under way. We are going through changes over the next few years as part of the regeneration of the Canada Water area. Unfortunately, it means we lose our lovely cafe. We remain open as a store but our cafe will close on the 14th of December for the last time. The pictures show you how the store and area should look in 2017/2018. During this time, we will go through various changes including moving into one store in March 2015 but we promise to always keep you updated.